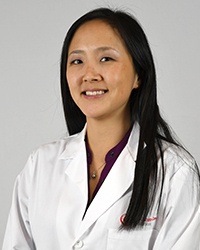 Line Hong, MD, FACEP, is the Medical Director at Holy Cross Germantown Hospital in Germantown, MD. She has been with US Acute Care Solutions since 2016. Dr. Hong Received her Bachelor of Science in Chemical Engineering from the Illinois Institute of Technology in Chicago, IL. She went on to earn her Doctor of Medicine from Rosalind Franklin University of Medicine and Science at The Chicago Medical School in North Chicago, IL. She completed her Emergency Medicine Residency at Thomas Jefferson University Hospital in Philadelphia, PA.